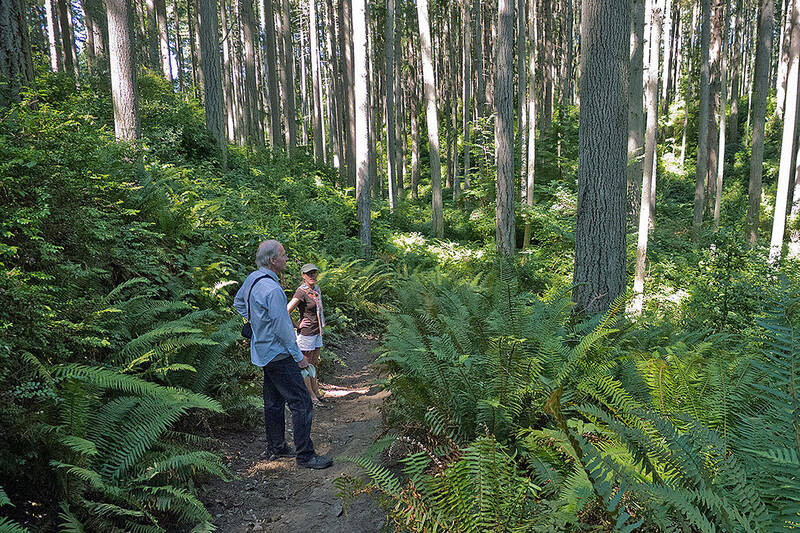 • One way or another, Bothell’s new 89-acre park will recognize the area’s history. It’s just a matter of how far back and the intended meaning. A new park presents a new opportunity for a name with thought and context. The Bothell City Council had its first opportunity to weigh in on the former golf course’s next moniker at its April 3 meeting. One group would like to see nature as a featured part of the park’s new name. Whitney Neugebauer, with Bothell-based nonprofit Whale Scout, is among the supporters of calling it “Redfish Park” after the kokanee salmon that historically flooded its waterways decades ago. “Giving the park the name ‘Redfish Park’ honors the native history of the Sammamish River and the natural abundance that originally brought people to this special place,” Neugebauer said in a news release. Historical accounts tell of Native Americans feasting upon kokanee when they first settled the Bothell area. Also supporting the fishy name was University of Washington Bothell professor Jeff Jensen. 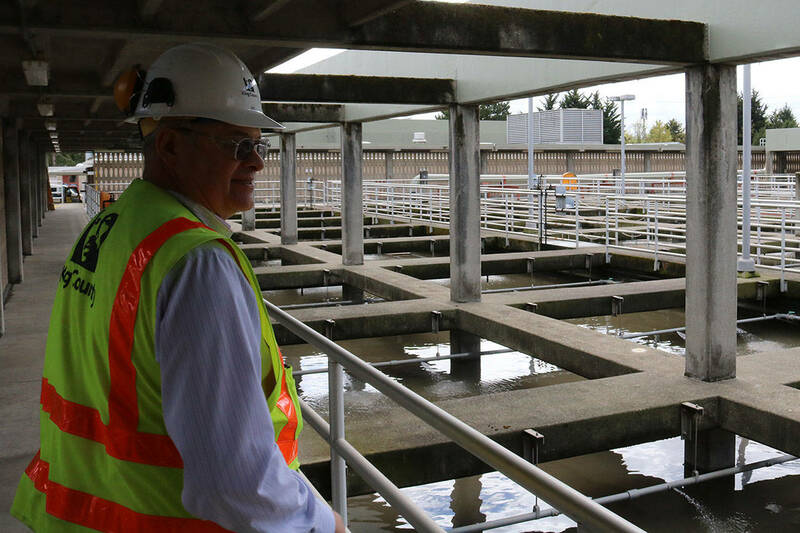 He is leading the charge to save the fish species in nearby Lake Washington. Choosing a name is likely to take more time and involve more input and feedback than the upcoming April 3 City Council meeting. • The Mercer Island City Council voted unanimously last month to sign agreements for a six month pilot project with rideshare providers Lyft and Uber. The goal is to improve access to transit and provide a first-last mile solution for Islanders, with subsidized rides between the Sound Transit Mercer Island Park and Ride and a location on Mercer Island. The city has heard that many residents don’t use transit because the 447 spots in the Park and Ride fill up by 7 a.m., and is trying to enhance mobility by giving weekday commuters the option to reach the Park and Ride without needing to drive and park a single occupant vehicle. “We know how frustrating it is to find the Park and Ride filling ever earlier, so we’re very pleased to be able to offer this option to the commuting public. It is good to see something innovative coming out of the Sound Transit Settlement Agreement, and we’re embracing the opportunity to investigate the future of transportation with this pilot project,” Mayor Debbie Bertlin said in a press release. The pilot project will operate Monday–Friday, 24 hours per day, beginning April 23 (in celebration of Earth Day) and concluding on Oct. 31. For the first three months, riders will be charged a flat fee of $2 per ride, which will rise to $2 for a shared ride and $5 for a solo ride over the next three months. • The Kirkland City Council voted unanimously at its March 20 meeting to name the pavilion at Marina Park in honor of Allen Locke, recognizing the role of Kirkland’s first city manager in shaping the city’s waterfront. Councilmember Tom Neir said that Locke, who served as city manager from 1965 to 1985, was a “founding father of our modern Kirkland.” Locke helped create Marina Park and expanded parks throughout the city, from less than 30 acres in 1968 to over 70 acres in 1980, including 12 acres of waterfront parks. He passed away in 2014 at age 82. Woods, former Mayor Bob Neir, and former Kirkland Fire Chief Bob Ely presented the request to name either Marina Park or the pavilion to the Kirkland Park Board last June. Woods wrote that when Locke started working in Kirkland, “our waterfront was a mess, much of it looked like a garbage dump.” The site where Marina Park lies today was a dumping ground for raw sewage — not fit for swimming or boating at the time, according to a city press release. • The parents and estate of the Kent-Meridian High teen killed in a “car surfing” accident three years ago filed a wrongful death lawsuit last week against the Kent School District seeking damages because of alleged negligence by the district. Lupo Benson, 18, died from injuries he suffered after falling off the hood of a fellow classmate’s vehicle as it sped through the Kent-Meridian parking lot on March 31, 2015, and made a sharp left turn that caused Benson to slide off the SUV and the back of his head hit the pavement hard, according to the Kent Police report. Benson, a senior, died the next day at Harborview Medical Center in Seattle. Parents Jimmy and Christine Benson filed the suit March 26 in King County Superior Court. They seek damages for injuries suffered by Lupo Benson, as well as his loss of life and his loss of a future earning capacity. They also seek damages for emotional distress they suffered, medical expenses, funeral expenses, and attorney fees. Any damage amount would be proved at a trial, according to the suit. The suit claims the school district had a policy forbidding “reckless driving” in the school parking lot and even assigned multiple staff and district personnel to monitor student traffic, both vehicular and pedestrian, in what’s known as the “Annex Lot.” But on the day of the car surfing, no school district personnel were present.